The world’s elite pastry chefs descended on Spa to cook up a storm of desserts for 800 privileged guests earlier this year. For the flagship event of the week-long Relais Desserts seminar, some 75 chefs served up a feast of 7,000 sweet treats. 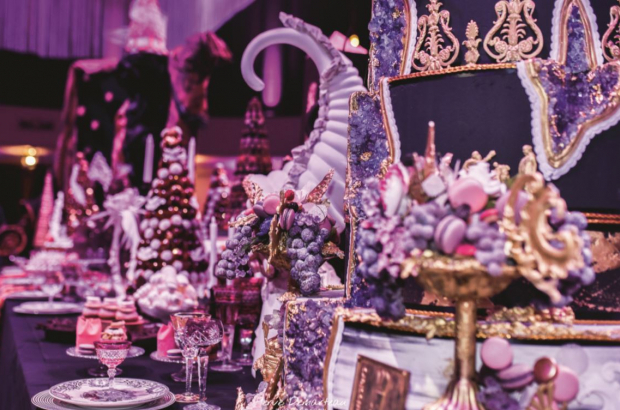 The centrepiece was a banquet table overflowing with artistic creations, from glistening chocolate work and mountains of choux buns and macaroons to spun sugar and fruit confections. Each year, the worldwide Relais Desserts collective gathers its 80 members – an elite group of pastry chefs from France, Belgium, Japan, Australia and Italy – to share their passion and experience. 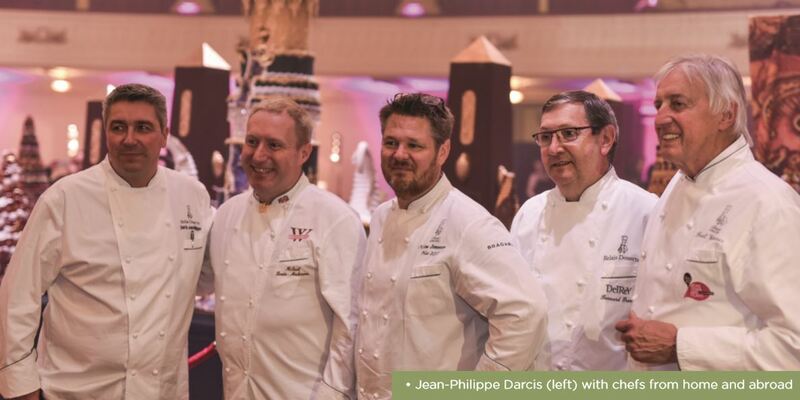 With Verviers-based artisan Jean-Philippe Darcis hosting this year’s get-together, it was an opportunity to showcase the talent and skills of local pastry chefs – from DelRey, Ducobu and Wittamer – as well as the attractions of Wallonia itself. Darcis and his team organised visits to numerous sites, including the Spa-Francorchamps race circuit, Waterloo, the town of Verviers and his own chocolate workshop. The visitors also had a chance to discover some local specialities and meet the people behind the produce. “They really had a superb image of Wallonia; as much in its welcome and its infrastructure as its quality of life,” says Darcis. Darcis, an ambassador for Belgian chocolate and pioneer of macaroon production in the country, opened his first establishment in 1996 at the age of 25. In 2016, he opened an atelier in Verviers, a temple to chocolate. While travelling the world to discover new flavours and the highest quality cocoa beans, his close work with farmers has led to him manufacturing his own chocolate blend. As for the future, the priority is consolidating the business in Belgium – which employs 50 people – and continuing to increase exports by developing new markets and additional outlets. “In autumn, we will be happy to finally inaugurate a new boutique in Taiwan,” he says. Darcis also runs an academy in Verviers, providing demonstrations and courses for groups of at least eight people, at beginner or intermediate level.